Though it may seem counterintuitive for Microsoft to be working on an application that will compete directly with its dominant presentation software PowerPoint, after using Sway it’s a little easier to understand why the company’s gone down this road. Sway has been built to cater to a modern audience and a number of design choices make it clear that this presentation application is part of Microsoft’s push to stay relevant in the future. The ¬aspect that makes the generational diferences between PowerPoint and Sway clear is the fact that Sway is primarily a browser based application, with optional stand alone smartphone and tablet versions. But not only does Sway mirror the company’s broader trend to make its apps and services available on more platforms simultaneously, it also adds features that reflect more modern presentation requirements. YouTube videos can be embedded directly into slideshows, for example, and the app features the ability to present multiple windows at once in a tiled layout. Sway uses OneDrive cloud storage so you can store and access a generous number of presentations from any device using a free Microsoft account. 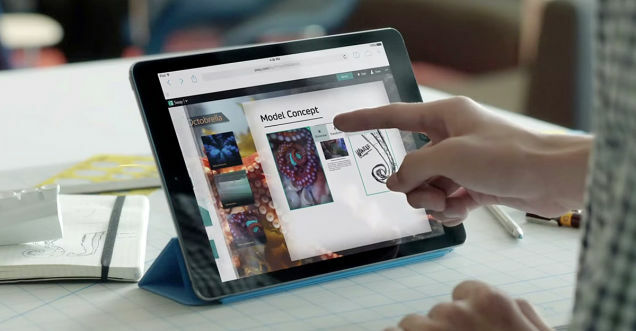 Sway is a simple to use, streamlined app that has enough of the right feature.